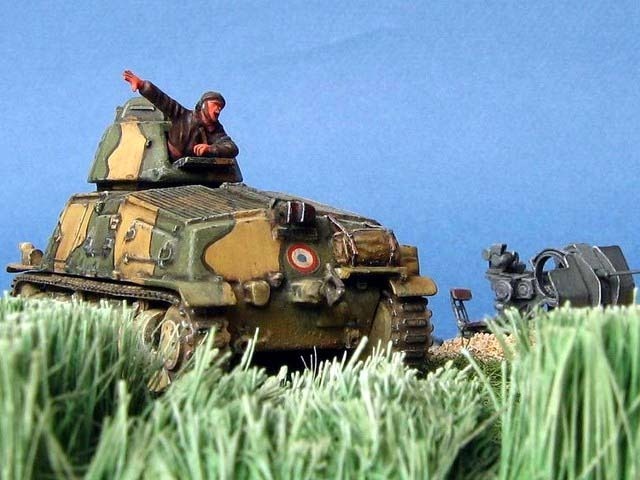 This diorama shows French attack of the Colonel de Gaulle's 4e DCR (4e Division Cuirassée) against the German forces a front of Abbeville, on 28. 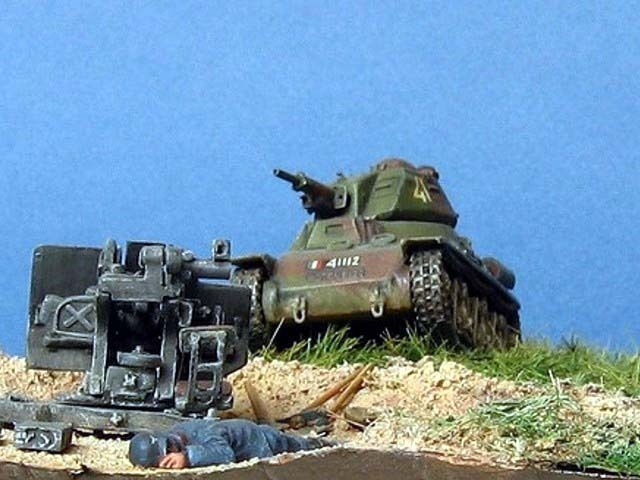 May 1940. 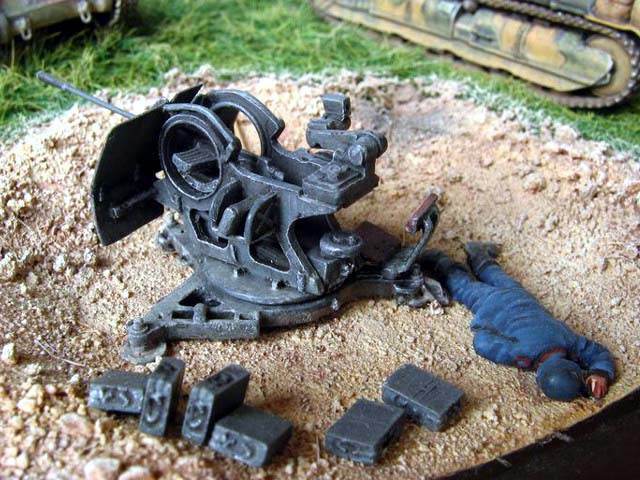 The German forces had many losses, sometimes panic, but no decision reached and they kept their hold during battle. 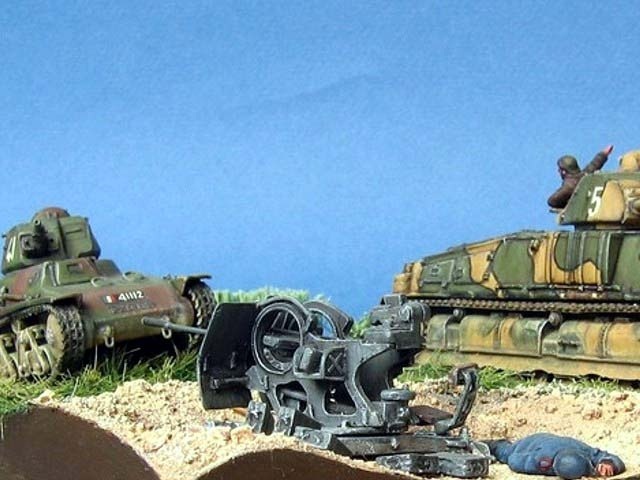 All models (Hotchkiss H39, Somua S35 and 2cm Flak 38 gun) are built from Al.By kits with little improvement on each. 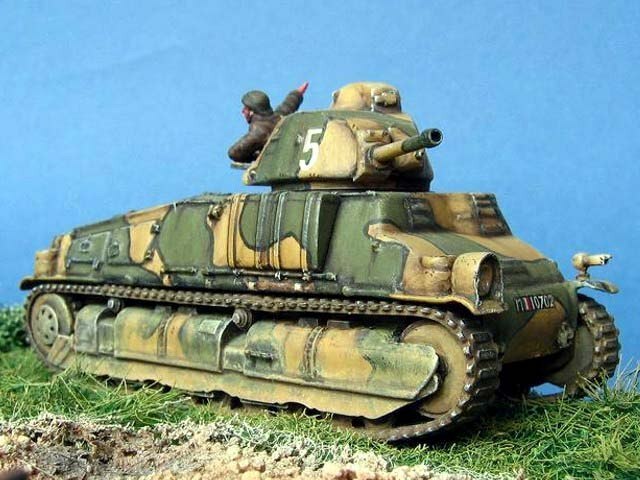 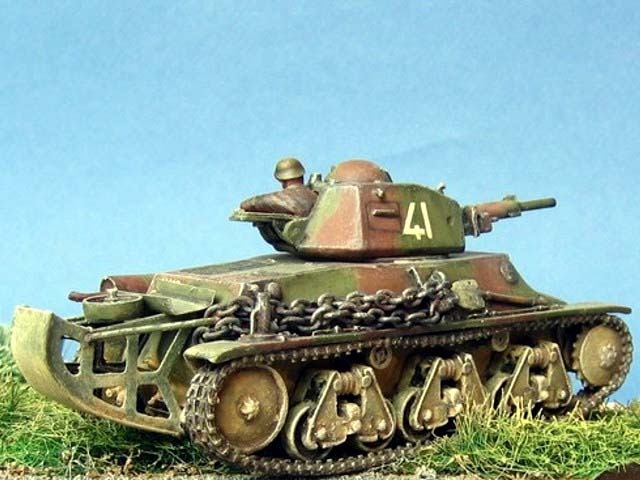 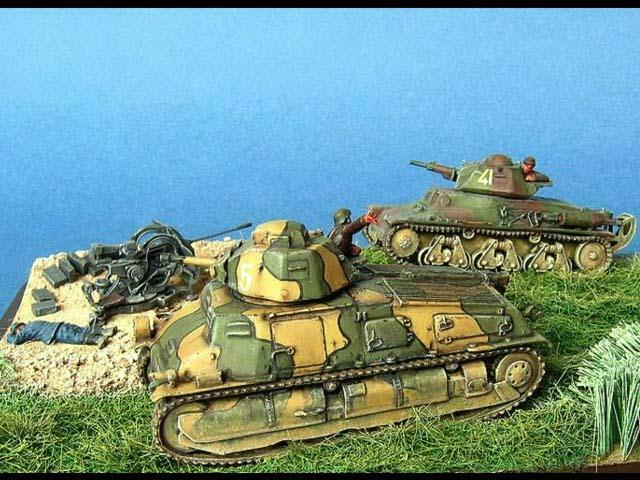 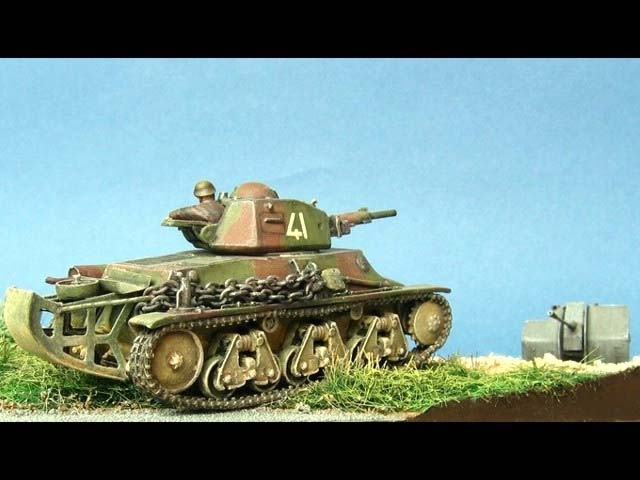 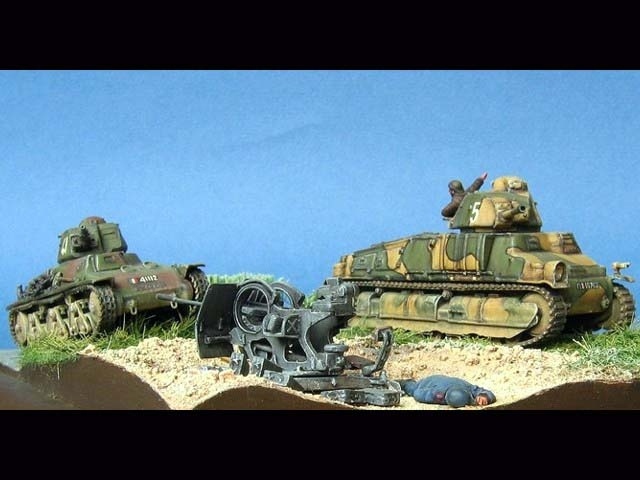 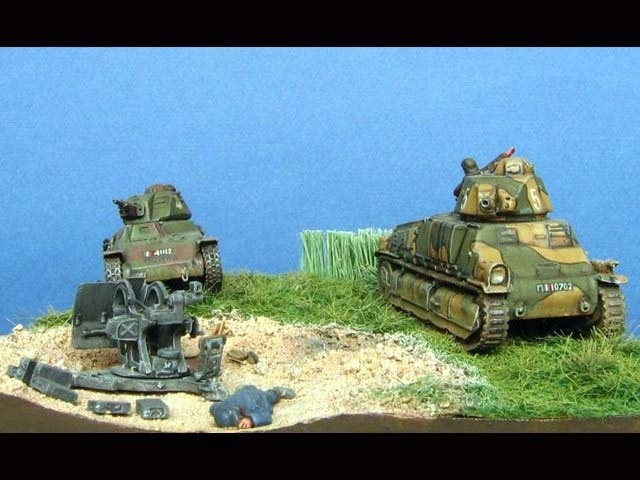 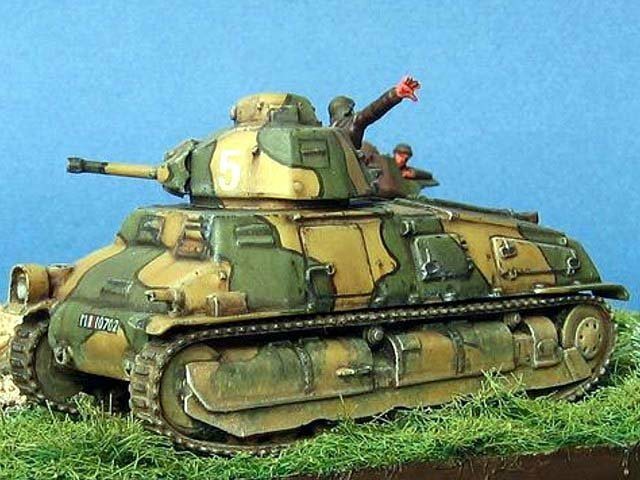 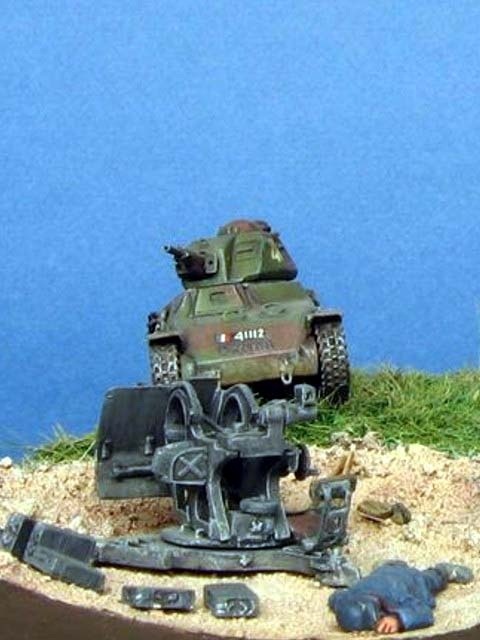 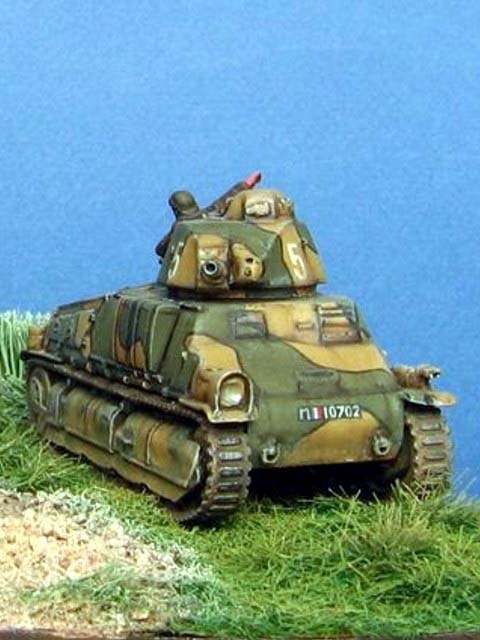 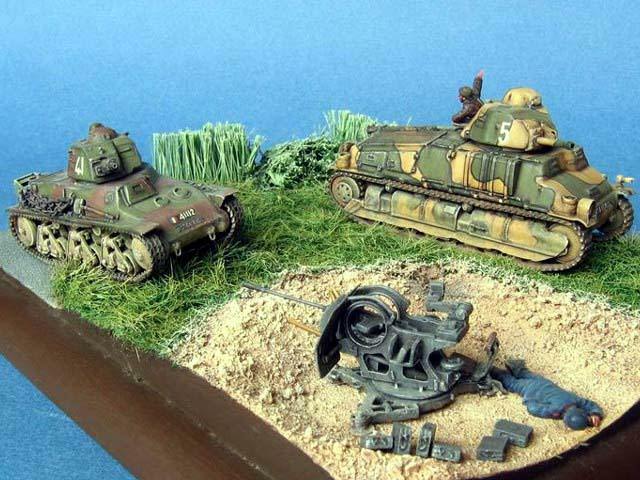 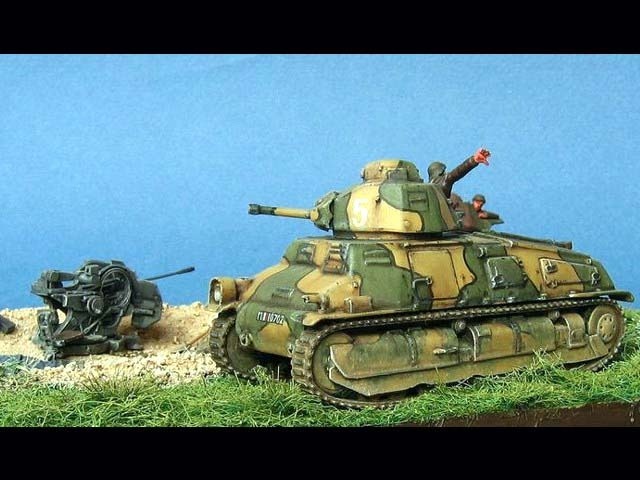 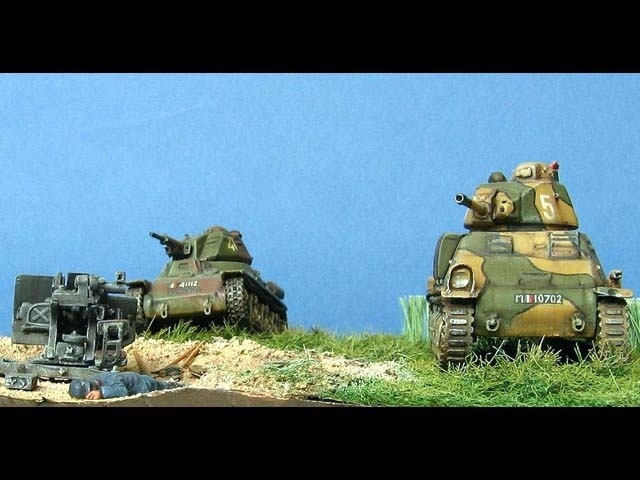 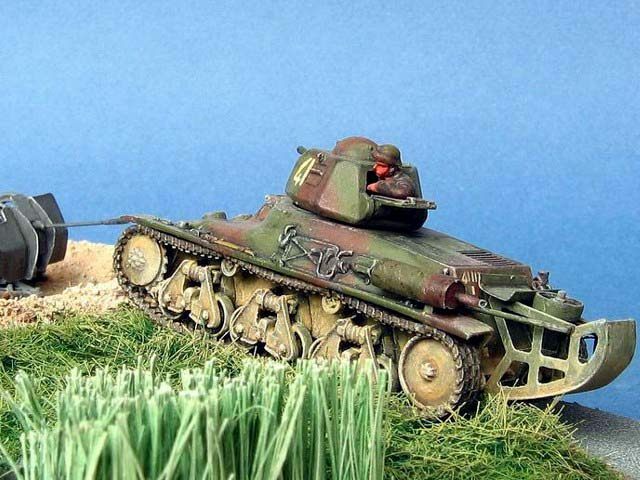 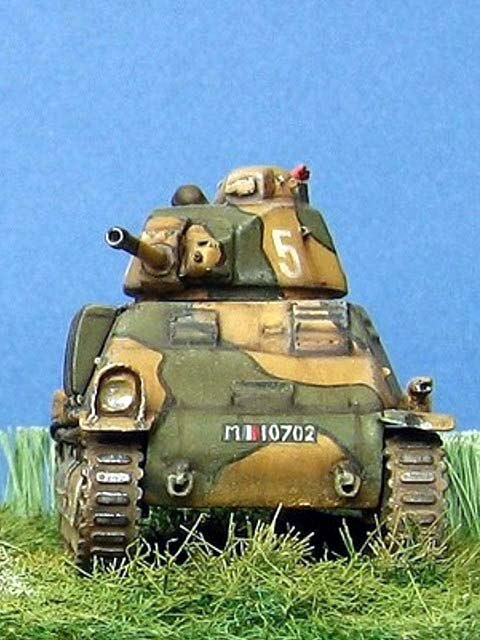 The French tankers and German corpse are converted Preiser figures.